The Pines - Darling, Don't You Think? 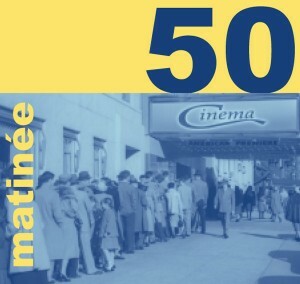 Brilliant low-price compilation commemorating the 50th single released on Matinée Recordings. To celebrate, the label invited 20 artists to record a cover version of a favorite song previously released on Matinée, and this is the result. Some people may call 20 favorites an album, but we like to think of it as our latest extended play single instead. This collection is a labor of love showcasing the tremendous artists with whom Matinée has had the honor of working during the past six years. With exclusive tracks from Airport Girl, The Fairways, The Guild League, Harper Lee, Kosmonaut, The Liberty Ship, Lovejoy, The Lucksmiths, Melodie Group, Pale Sunday, The Pines, Pipas, Simpático, Slipslide, The Snowdrops, Sportique, The Visitors, Gregory Webster, The Windmills and Would-Be-Goods, this compilation is an essential release for all fans of the label and associated bands.